Dear EarthTalk: What do I need to know about the new U.S. energy efficiency standards for light bulbs that take effect in January 2012? Will certain bulbs be unavailable? And am I supposed to switch out my older inefficient bulbs with newer efficient ones? Indeed, January 2012 marks the beginning of a planned phase-out of inefficient light bulbs in the United States that was signed into law five years ago by President George W. Bush. It was designed to reduce energy usage nationally from lighting by some 30 percent overall within three years. The benefits of the phase-out will be a savings of between $100 and $200 annually on electric bills in each American household--a total energy savings equivalent to the output of 30 large power plants--and reductions in global warming-inducing carbon pollution equivalent to taking 17 million cars off the road. 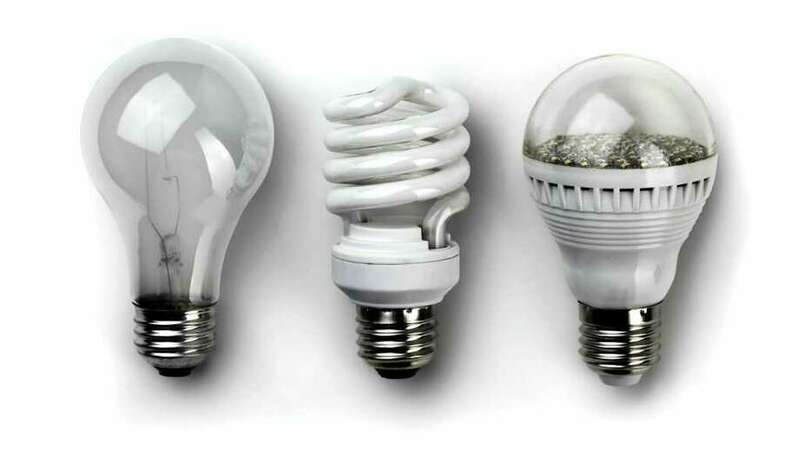 The first bulbs to disappear from store shelves are conventional 100 watt incandescents, but consumers can get compact fluorescent (CFL) or light emitting diode (LED) bulbs with similar light output instead. There are also some new more efficient incandescent bulbs that made the cut and will be available as replacements for conventional incandescents. In 2013, conventional 75 watt incandescents will be phased out, while conventional 60 and 40 watt bulbs will be phased out in 2014. Given the great alternatives available these days, most consumers will hardly notice any difference except lower electric bills. As for what consumers should do to prepare themselves, the best advice is to get educated about the difference between power use and light output as we enter the brave new world of more efficient lighting. "Given the range of efficiencies the new bulbs provide, buying a bulb solely on the amount of power it uses no longer makes sense and we'll have to shift to buying lumens," reports Noah Horowitz of the Natural Resource Defense Council. "For example, a typical 60 watt light bulb produces around 800 lumens. The CFL that produces 800 lumens only uses 15 watts." He adds that bulb packages will likely contain claims like "as bright as a 60 watt bulb" or "15W = 60W" to help consumers make the transition. Horowitz adds that consumers looking to replace their old incandescents with new more efficient varieties should look for CFLs or LEDs marked as "warm white," since the quality of light they give off will be most similar to that given off by old-school incandescents. "Those marketed as `cool white' or `day light' have much different light color, which only a small minority of consumers prefer," says Horowitz. Also, Horowitz warns that most CFLs are not dimmable and "may fail prematurely if installed in a dimming circuit." So if your space features light sockets with dimming capability the best bet would be LED bulbs or newer more efficient incandescents. Specially marked dimmable CFL bulbs are also an option but at present are less commonly available. As for whether to switch out your older incandescents with newer more efficient bulbs, the answer is maybe. According to Earth911, the leading source of information of how and where to recycle anything, consumers should consider the waste they will create by throwing out working albeit aging light bulbs. "If they aren't spent, don't trash them," reports Earth911, adding that they can be used until they burn out -- at which point more efficient bulbs can go in. Those who want to start saving energy now might consider donating older bulbs to local charities. Meanwhile, spent bulbs can be recycled. Earth911's website can help find locations near you where old bulbs can be dropped off. CONTACTS: Natural Resources Defense Council, www.nrdc.org; Earth911, www.earth911.com. Dear EarthTalk: I always hear about hair products and sprays that claim to be natural and organic based. What are some hair products that can be purchased that are legit and cause no harm to the environment? Many common hair care products, including shampoos, conditioners and hair sprays, can pose health hazards. Most of the shampoos for sale on supermarket and drugstore shelves use a chemical called sodium laureth sulfate (or one of its derivatives), a foamy de-greaser that can cause follicle, skin and eye irritation, and which has been linked to some cancers when combined with other common shampoo ingredients. Meanwhile, mass-market conditioners typically rely on so-called quaternary compounds to produce thicker, silkier and tangle-free hair, but these chemicals can also irritate the skin and eyes and likewise have been linked to cancer. As for hair spray and other styling products, most work by coating the hair with polyvinylpyrrolidone (PVP), a plastic polymer that has been dissolved in solvents to keep it flexible. Environment Canada, Canada's counterpart to the U.S. Environmental Protection Agency, classifies PVP as a medium health priority, although phthalates, triethanolamine, parabens and other hair spray ingredients may be more harmful, having been linked to respiratory, immune and endocrine problems as well as cancer. Luckily for those who spend a lot of time and money getting their hair to look, smell and feel just right, a wide range of greener, healthier hair care products has emerged in recent years. Aveda has been a pioneer in the industry ever since Horst Rechelbacher launched the company in 1978 after visiting India and witnessing the healing powers of Hindu medicine and aroma. Today the company offers seven hair product lines tailored to different hair types, with the majority of the ingredients derived from plants, non-petroleum minerals or other natural sources. Furthermore, upwards of 89 percent of the essential oils and raw herbal ingredients Aveda uses in its hair cars products are sourced from certified organic producers. There are hundreds of other companies, too, that sell natural hair products. A great place to look is at the GoodGuide, a website that rates 145,000 foods, toys, personal care and household products according to health, environmental and social responsibility standards. Top-rated shampoos listed there include Burt's Bees Rosemary Mint Shampoo Bar, Aura Cacia Kids Shampoo and Aubrey Organics Men's Stock Ginseng Biotin Shampoo. GoodGuide's top performing conditioners include Dr. Bronner's Hair Conditioning Rinse, Burt's Bees Herbal Blemish Stick with Tea Tree Leaf Oil, KMS Haircare Liquid Assets and Nurture My Body Conditioner. As for styling, GoodGuide likes any of the varieties of Dr. Bronner's Hair Conditioner and Style Cream as well as L'Oreal's Elnett Extra Strong Hold. Another source for credible hair care products recommendations is the Guide to Less Toxic Products, a free online resource produced by the Environmental Health Association of Nova Scotia. The guide lists 25 shampoos, 22 conditioners and 18 hair styling products that meet its stringent ingredient standards. Also check out the Environmental Working Group's Skin Deep cosmetics database, which provides detailed ingredient information and safety assessments for 70,000 personal care products, including hundreds of shampoos, conditioners and hair styling formulations. CONTACTS: Aveda, www.aveda.com; Good Guide, www.goodguide.com; Guide to Less Toxic Products, www.lesstoxicguide.ca; Skin Deep, www.ewg.org/skindeep.